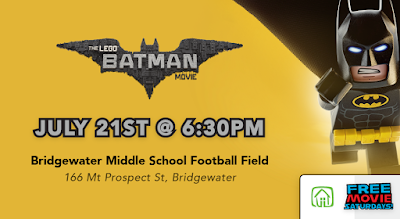 Free Movie Saturdays is coming to Bridgewater starting next Saturday! Inflatable Bounce House, Obstacle Course, Family Photos & More - all FREE! 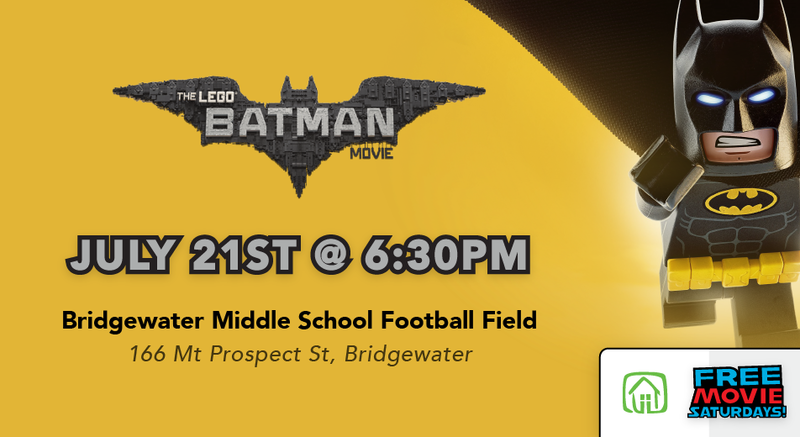 Activities begin at 6:30 PM and the movie starts at sundown. Bring your friends and family and enjoy!